There are 30 blog entries for December 2010. Aloha Friday, Happy New Year......and More Good News! Friday, December 31st, 2010 at 10:17am. Tourism is the economic engine of Oahu's economy, so it is was welcome news to read that Hotel occupancy on Oahu, particularly in Waikiki, was up again rather sharply last month. We still have a ways to go, but we appear to be on the right track. Oahu had the highest occupancy rate last month, 75.2 percent. If you or anyone you know is thinking about buying or selling a condo in Honolulu, Hawaii, it would be my pleasure to help. Thursday, December 30th, 2010 at 11:31am. Gorgeous remodeled 2bd/1ba corner unit. Rare garden view unit surrounded by greens; like living in a tree house. Enjoy views of Diamond Head, Fort DeRussy Park, partial ocean & Waikiki from the front & views of the city, mountains & pool area from the back. Great amenities & security. Fees include air, electricity, water, sewer & cable. Santana Row Bank Owned Condo Ready To Sell!! Wednesday, December 29th, 2010 at 12:19am. There is a new 2 bedroom 2 and 1/2 bath condo for sale in the highly desirable location of Santana Row! This property has over 1500 sqft of living space with two parking spots in a secured parking garage. If you have ever tried to park a Santana Row on the weekends you will know that this reason alone makes this property worth it. The complex is only 8 years old and includes hardwood flooring with a large private patio. Currently listed at only $599k this unit will not last long so call and set your time to look take a look. Tuesday, December 28th, 2010 at 7:24pm. Tuesday, December 28th, 2010 at 10:31am. Monday, December 27th, 2010 at 10:36am. As mentioned in my December 24th Blog Post, "Developer Peter Savio Offers Two New Condo Projects in Ala Moana Neighborhood Next to Waikiki, Honolulu", where "Honolulu" magazine mentioned that lcoal developer, Peter Savio was offering condos for sale in two new projects: Ala Moana Tower and Pensacola Chelsea. In a follow-up post on the magazine's website, is an article with more informatioin about Ala Moana Towers condos. For details, read more of the "Honolulu" magazine article about Ala Moana Tower. Friday, December 24th, 2010 at 10:27am. Both offer affordable condo options. 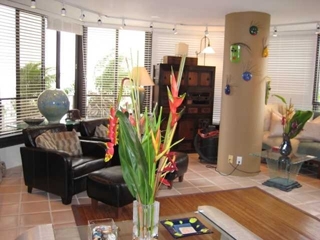 Read more about "Affordable Condos in Ala Moana". Thursday, December 23rd, 2010 at 12:33pm. Thursday, December 23rd, 2010 at 12:32pm. Tuesday, December 21st, 2010 at 10:47am. View the Oahu Local Market Updates Report for November 2010 Now.